New clients who come to me to eat more healthfully, lose weight, or both, often ask me what diet I recommend. They are often surprised when my response is that I don’t recommend any particular diet plan. There are a couple reasons for this. One is that I don’t advocate for any one type of eating. Everyone is different and what works for one person may not be the right avenue for another as our needs and tastes differ widely. The other reason is that, while a diet may work in the short run, most diets don’t work over the long term. What works is eating healthy, nutritious foods in as close to their natural state as possible. If a client is seeking to eat more healthfully, get strong, and have more energy – and lose or maintain weight – what works is change from the inside out – and this means lifestyle. Read labels. This is so important. The fewer ingredients the better – fewer ingredients = less additives. You’ll also want to check for hidden sugar. Other names for sugar are glucose, sucrose, fructose, dextrose, maltose, and lactose. Food labels that mention any of these contain added sugar. The World Health Organization recommendation is for no more than 25 grams of sugar a day, and to avoid any food that contains more than 15 grams. Excessive sugar intake can cause inflammation in the body, and lead to obesity, as well as type II diabetes. Eat breakfast, and include some protein. There are so many good reasons to eat breakfast. We need to give our bodies good fuel to start the day and including protein has been shown to keep us full longer, thereby discouraging over-eating later. You can include eggs, milk, yogurt, cheese or lean meats, or stir up a smoothie with protein powder, fruit, juice or soy or almond millk. Listen to your body. Are you really hungry or are you bored, lonely, anxious? Are you eating because everyone else is? Could you be dehydrated? Try drinking a glass of water and see how you feel after 15 minutes. The more you tune into what you need, the more likely it is that you will start to eat in a way that works for you. On that note, experiment with what works best for you. 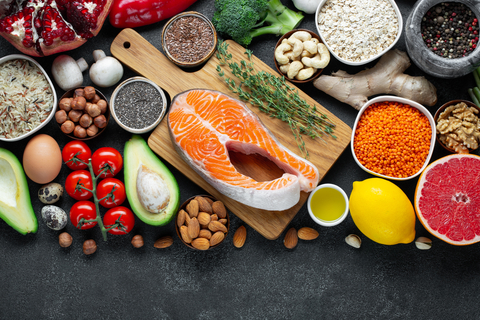 A good resource is: The Healthy Eating Plate, a research-based guide created by nutritionists at the Harvard School of Public Health which advises paying attention to the quality of the foods you eat. A Google search for clean eating will also point you in the direction of eating high quality, nutrient dense foods, and offer suggestions for how to get started, including recipes. Focusing on eating quality foods – whole foods, as close to their natural state as possible, avoiding processed foods, and limiting added sugar and fats – and moving our bodies, is key to keeping our weight stable, our energy high, and our bodies strong. It’s also what works over the long haul. And isn’t that something we all want?